Since 2005, we are using educational games in the course „Einführung in die Regelungstechnik“ (Introduction to automatic control). The project started with the game spaceballRT, which uses Sysquake LE as free available programming platform. The game allows to design different P, PI, and PID controllers for a spaceball that has to follow a given trajectory. In parallel, we developed the Macromedia flash game submarineRT. Here, the students can compare PID and state space controllers. Thereby, they study the fundamental analysis and design tools taught in class. 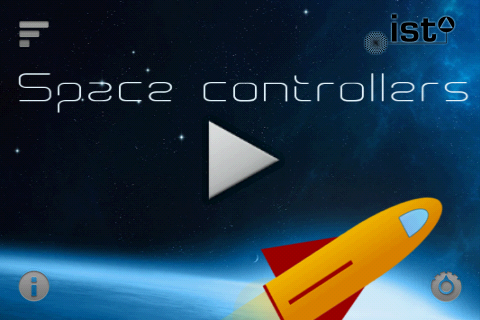 As a first educational game for advanced control courses, we developed spacecraftRT which is used in the course Regelungstechnik II (Automatic Control II). 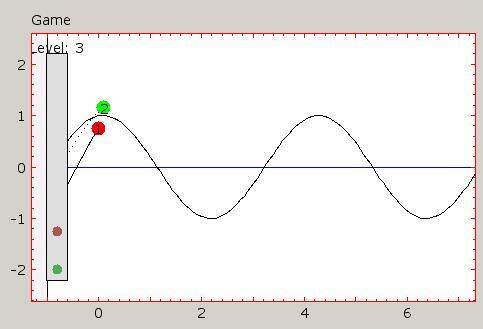 In our Nyquist app you can analyze the stability of the closed loop by using the Nyquist stability criterion. With the Nyquist stability criterion, you can determine the stability of the closed loop based on the frequency response of the open loop, without explicitly calculating the poles of the closed loop. The Nyquist app will soon be available in the Android and Apple App Store. The goal of this learning game is to steer the submarine such that it track the desired trajectory as good as possible. To this end, you can control the vertical forces manually, or, you can design a feedback controller that takes over the tracking. Furthermore, the difference between a submarine without controller and a submarine with controller can be best seen hands-on. Please click here to download the SubmarineRT game as executable file for Windows. Choose a lesson and play yourself or restart the Expert Mode. Follow the instructions in the lesson. The submarine records as long as you confirm your settings with the check mark. In expert mode the game will restart as soon as you change the settings and confirm them. Attention! Settings will be saved when you confirm this. If you click on another boat or close the settings window, without confirming the settings, you lose them. Note that the Online-Highscore is currently unavailable. In this android game, the goal is to track a given reference trajectory with a space craft that is modelled by a simple double integrator. The space craft can be steered manually by the player via the smartphone's position sensor, or, by implementing automatic control algorithms in both time or frequency domain, which are tought in the course "Einführung in die Regelungstechnik". The available control designs currently include state feedback, state feedback combined with an observer, as well as loop shaping of a proportianl controller with a lead compensator. The performance of the manual control and the quality of the designed controllers are displayed in the player's score. The best performances are displayed in a high score table. The game is being constantly developed further. Therefore, your comments and suggestions are very welcome. Contact: Prof. Frank Allgöwer. The game runs on android smartphones (Android version 2.1 and above). Allow app installs from non-Market apps: tap the menu button on your home screen, then choose Settings >> Applications >> Unknown sources. Download the .apk-file to your smartphone. The app is installed by executing the .apk-file. Goal of the game ist to navigate your "spaceball" as close as possible along a given path. To do so you have a slider on the left side with which you can apply a force going up or down. To make live even more complicated in higher levels the spaceball changes its mass and sunwinds start to blow. Please click here to download the spacecraft.zip on your computer. Start MatLab and switch to the file "spacecraft" which has been unzipped before. Insert "spacecraft" in the command line. The game starts with lection 0. Alternatively, open the user interface and the associated MatLab programme with the command "guide spacecraft". In this case, start the user interface by pushing the green arrow. The AirplaneRT-game was designed and developed by the Institute of Flight Mechanics and Control based on the SubmarineRT-Game. The goal is to keep the red biplane as close as possible on a given path. You may either manoeuver the airplane by hand or using a PID-controller with or without manual reference input. If you think this task is too easy, try to solve it with and the additional wind distrubance activated. Please click here in order to download the AirplaneRT game as executable file for Windows. In order to play the game you have to install Sysquake LE, the free edition of Sysquake from Calerga. You will find versions for MS-Windows, Linux, and MacOS here. Start Sysquake LE and load the game with "File" "Open..." rtgame.sq. To start playing right away just press the space-bar. In this mode you will go through all 5 levels.